wraps your wrist in a soft glow of amazing, handmade sterling silver beads and accents. 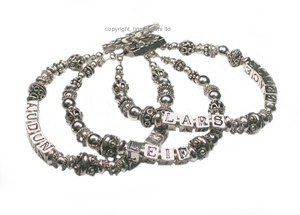 Personalize this mother's bracelet with up to 6 names. variations from the images shown. length and the number of letters in your jewelry design.